Whether you want to be scared out of your skin or are simply looking for a wine to pair with your candy, there are Halloween-themed events to suit everyone. Photograph by Chris Malloy courtesy of Heritage Park. Not sure what to do to celebrate All Hallow’s Eve? We have options for adults and kids, events that are in town and out, experiences that are scary and some that are sweet. Find your Halloween match below. This one is more for the kids, particularly the face painting and interactive activities, but adults will enjoy the park’s rides, games and strolling through Hallotown just as much as the children. Calaway Park goes all out with the decorations and visitors are encouraged to wear family-friendly costumes. Times: 11 a.m. to 6 p.m.
SmartyPantz escape room partnered with vrCAVE to create a 10-minute virtual reality experience. Two people put on headsets and backpacks and go into the haunted hospital together. It’s not an escape room, but you will explore creepy rooms and be frightened. This was designed to be a two-person experience so make sure to bring a partner. Times: SmartyPantz is open Sunday and Tuesday to Thursday from 5 to 10 p..m. and Friday and Saturday from 3:30 p.m. to 11 p.m. Closed on Mondays. This is probably Calgary’s scariest and most diverse Halloween event. Walk through multiple haunted houses — Clown Town, Bates Motel and What Lurks In the Dark are all worth visiting. There are also additional cost activities (where you spend “Killer Cash” tokens) like the Neighbours From Hell simulator ride and carnival games like the Wheel of Misfortune and Feed the Demon. New for this year, The Extreme Zombie House – A World’s End Experience will be available for $12 in Killer Cash tokens. This one is extra, extra scary with actors brushing up against you and literally breathing down your neck — this one is so frightening you’ll need to sign a waiver before participating. Thursday, October 25 is Adults Only Night at ScreamFest. No one under 18 years old will be permitted on that one day. Times: 7 p.m. to 12 a.m.
You know Halloween is coming when you see hundreds of people dressed as zombies parade through the streets of Calgary. The 2018 Calgary Zombie Walk event starts at Olympic Plaza at noon where there will be makeup artists and vendors. The walk starts at 3:30 p.m. and goes down Stephen Avenue to 4th Street S.W. where it connects with 17 Avenue S.W. and ends at Tomkins Park. There will be an after party at a location TBD. Times: Event starts at noon. Walk commences at 3:30 p.m.
Add some science to your Halloween at Telus Spark. For almost all of October, the science centre will be mixing potions, destroying pumpkins and hosting giant spiders. While you are there, take a “Thriller” dance lesson and learn to move like the king of pop. If you’re not planning on bringing the kids, consider the 18+ Halloween Party event on Saturday, October 27 with a DJ, food, booze and more. Cost: Adults, $26.00; youth ages 13 to 17, $22.00; children ages 3 to 12, $19.00. Tickets for the Halloween Party are $75 for general admission or $125 for VIP. Times: Sunday to Friday, 10 a.m. to 4 p.m.; Saturday, 10 a.m. to 5 p.m.
Blue Grass Garden Centre near CrossIron Mills is throwing a big pumpkin party. There will be pumpkin bowling, pumpkin carving, pumpkin coach rides (think Cinderella) and pumpkins being dropped from 100 feet (including a 500 pound pumpkin that will smash a car). The family event also has a petting zoo, maze and hayrides. 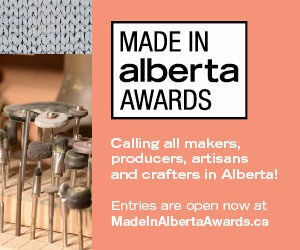 All of the proceeds from the festival go to the Alberta Children’s Hospital Foundation. Walking through Calgary’s oldest neighbourhoods and hearing real ghost stories from the experts is possibly one of the scariest ways to spend an evening this Halloween season. Calgary Ghost Tours will walk you through Inglewood, Downtown or Kensington on Friday and Saturday evenings. This year, October 31 is set aside for a tour of Inglewood starting at Rosso. Check calgaryghostwalks.com as more tours might be added. This is anything but a relaxing train journey. Step onto the Train of Terror this Halloween and you’ll experience everything from haunted railway cars to eerie entertainment to other spine-tingling sensations. You can expect low visibility, strobe and fog effects, tight spaces, graphic scenes and close encounters with props and actors. Other than that, you can expect anything to happen. The trip is about 90 minutes and most trips are for adults only, though special teen-friendly (12+) rides have been added for 2018. Anyone under 18 requires a signed waiver from a parent or guardian. After the ride, there’s a Halloween party with food and drinks for purchase. Times: Train departs at 5, 7 and 9 p.m. Grim Manor gets even bigger with a move from Marlborough Mall to WinSport. The over 7,000-square-foot space includes three spooky attractions: the titular house of horrors Grim Manor, a new Salem-themed funhouse and an all-ages animated 3D haunted house called Grim’s Haunted Adventures: 3D. Live entertainment will be provided by comedic daredevil Ryan Stock and his partner Amberlynn, as well as live music by 5¢ Freakshow. When you’re an entertainer who dresses up for a living, Halloween is the ultimate test of whether you can outshine the riff raff with an amazing look and committed performance. The Fake Mustache drag king troupe have spent a decade lighting up stages with their gender-bending shenanigans and should have no trouble rising to the occasion. Join them at Dickens Pub in your most unruly attire and you could win prizes from their costume contest. Admission fees are in support of the Mosaic Youth Group. Times: Doors at 7:30 p.m.; show at 9 p.m.
Ghost River Theatre and Calgary Young People’s Theatre (CYPT) are joining forces to sell you cheap and unique costume pieces at their home in Sunalta at the West Village Theatre. Box store packaged costumes will be sold at a discounted rate and real-life theatre costume pieces from CYPT will be sold off as well. All proceeds from the event support the two theatre companies. Times: Friday 4 p.m. to 8 p.m., Saturday 10 a.m. to 6 p.m.
Local amateur and independent filmmakers get 48 hours to write, film and produce a short horror movie. 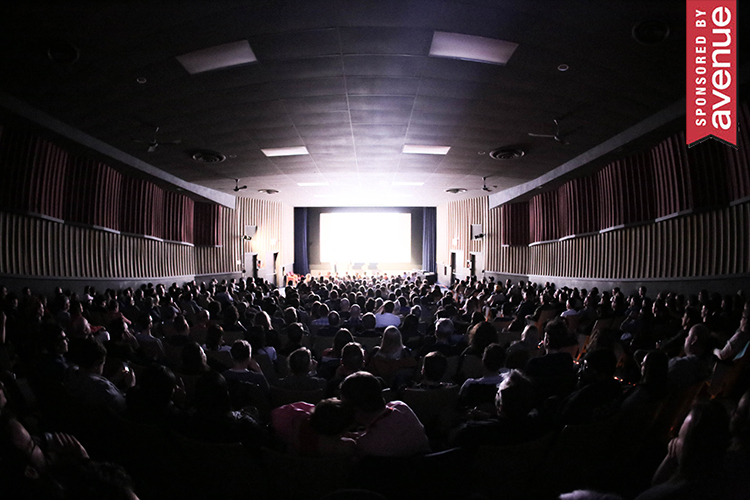 The films then screen in competition at the Globe Cinema on October 20, with a pre-party concert of heavy metal and spooky synthesizer tunes on the preceding day at Vern’s. Interested in competing? The filmmaking period is Oct. 12 to 14 with registration costing $45. Check Terror Challenge’s website to see if there are any open slots. If indulging in candy isn’t your thing, but wearing a costume is, then sign up for this year’s Halloween Howl. Dress up and participate in a 3-kilometre, 5-kilometre or 10-kilometre run. Prizes are given out for the best costumes — and for the fastest runners, if that’s why you’re running — and the après race activities are a hoot. (Well-behaved, costumed pets are also allowed.) Best of all, this race raises money for the Alberta Diabetes Foundation. Tour guides Wayne Meikle and Val Shartau take (super)natural enthusiasts through the historic Bow Valley Ranch area of Fish Creek to share stories of the ghosts who haunt the area. It’s going to be dark, so there might even be a few spectral sightings. Bring along a travel mug so you can enjoy the hot chocolate that’s served. This high-demand event has expanded to a three-day affair this year, and pre-registration is required due to the limited space for each tour. Times: 6:30 p.m. to 7:30 p.m.
You don’t have to head to Transylvania to visit a spooky castle. The Calgary Castle in Upper Mount Royal plays host to an Maillot Homes-sponsored event featuring character actors, live artists, tarot card readers and an art auction. This is a family-friendly event and all proceeds go to the Highbanks Society, a charity providing affordable housing and other services to single mothers in Calgary. Times: 4 p.m. to 10 p.m.
Show up in costume for this murder mystery dinner (but leave the full face mask at home). As soon as you arrive, you’ll be handed a welcome drink and escorted to your table. Be prepared to meet your neighbours — tables are banquet style with 10 to 12 guests at them. This year’s menu is still under wraps but the 2017 offerings included severed head Jack-o-lantern (stuffed peppers), werewolf beef tenderloin (really tasty beef tenderloin) and vampires cheesecake (with strawberries). Throughout the evening a murder will unfold and by the end of the night the crime will be solved. Times: Cocktails at 6 p.m.; dinner and show at 7 p.m. Ghosts aren’t the only spirits you can expect at this event. Dad jokes aside, $15 gets you ghost stories from vineyards, breweries and distilleries around the world with adult beverages from across the spectrum. Enjoy responsibly or arrange to be picked up — you don’t want to be the star of your very own ghost story. Heritage Park decorates its streets for Halloween and this bash that is especially fun for families with kids aged three to nine. Returning activities include storytelling, crafts, “ginger-dead-man” decorating, Witches Flying School and a family dance. New for this year, The Calgary Quidditch Club will be on-hand to teach you how to play the not-so-fictional sport, a vaudeville show will be held and there will be an opportunity to meet the Addams Family. Buy your tickets in advance for this party. Times: October 25 and 26, 6 p.m. to 9 p.m.; October 27, 5:30 p.m. to 9 p.m.; October 28, 4 p.m. to 7:30 p.m. This event has become a Halloween tradition at Willow Park Wines and Spirits. After all, just because you’re an adult doesn’t mean this time of year shouldn’t involve copious amounts of candy. Spend the evening pairing wine, beer and cocktails with your favourite Halloween treats. Turns out, the flavour of caramels and candy corn can really be enhanced when you have the right drink. This haunted house in Rocky Ridge is the biggest in the city and it has been scaring Calgarians every Halloween since 1987. The 2018 theme is Hollywood Horrors. Walk through the Rocky Ridge home and try not to jump when the actors suddenly appear from around corners. The haunted house is set up entirely by volunteers and proceeds support the Oops-a-Dazy Rescue and Sanctuary Society and Calgary Food Bank. Cost: Cost: $12, but you can save $2 by bringing a non-perishable donation for the Calgary Food Bank. Celebrate Halloween with a night of concerts during the Halloween Howler. Participating bands include Stone Temple Pilots, Seether, Default and Age of Days. Be sure to wear your favourite Halloween costume to the event — there will be prizes awarded to the best one. This Halloween race happens at dusk, and it’s both family-friendly and pet-friendly. Following the 1-, 5- or 10 kilometre run, there’s a festival area with Halloween games and a photo booth. There are also prizes for the best costumes — and the best pet costume — so come dressed up. This run supports the Alberta Animal Rescue Crew Society, a charity that raises funds to improve the lives of abandoned or abused animals. October 27 will be a night of punk rock singalongs at The Gateway. The Dudes, one of Calgary’s most enduring and popular rock bands, ring in the haunted holiday every year with ticket sellouts being a perennial tradition. Fittingly, they’ve tapped openers Sellout and The Corey Hotline to help get the party going. This X92.9-presented event will also include a costume contest with prizes TBA. Open to guests 18+ (with valid government ID) only. Times: Doors at 8 p.m. Families visiting Westbrook Mall on October 27 should stop by Centre Court for some Halloween fun. For a $2 donation to Cystic Fibrosis Canada, children can get their face painted, decorate a pumpkin and see a magic show at this daytime Halloween celebration. Time: 12 p.m. to 4 p.m. Punk Rock Bowling celebrates its 10th edition with a special Halloween party at Paradise Lanes. The live music component will feature the spooky sounds of The Devil’s Sons, 5¢ Freakshow, Blink 183 (guess what kind of cover band they are) and more. In addition to the show, your ticket gets you shoe rental, unlimited bowling, candy and pizza, with kids 12 and under admitted for free. Punk Rock Bowling has sold out every show they’ve done to date. Buy tickets early for this one! If you’re looking for glamorous nightlife rather than ghouls or chocolate bars, the Secret Garden Party event at Sub Rosa might be the choice for you. This 18+ night on the town will have a deal on Perrier-Jouët Champagne (two bottles for $200), plus Candy Corn and Wolf Blood cocktails on special for $10. Let your costume express whether you’re the nice or naughty type. Calgary Underground Film Festival is one of the best at curating horror classics. This Halloween, it’s pulling another all-nighter with 12 hours of back-to-back scary movies. The marathon starts at 7 p.m. and goes until 7 a.m. The movies for 2018 have yet to be announced. This is an adults-only event with the bar open until 2 a.m. (that’s about four movies in). Times: 7 p.m. to 7 a.m.
Ghost Hunt Alberta (GHA) presents a night of spooktacular investigation into the great beyond. Taking place at the Rose and Crown, whose space was once a funeral home, Paranormal Halloween Party gives you the chance to meet and hear from GHA’s spirit-chasers and even investigate parts of the pub for ghosts. In addition, psychic readings will be available at an extra cost — or won through the costume contest, which also offers other GHA event tickets as prizes. Times: 7 p.m. to 11 p.m. Check out this theatrical pop-up escape room experience put on by Escape Capers at The Rose and Crown. Interact with actors and solve puzzles in teams of four to six players in order to solve the mystery and escape with bragging rights. There will be two shows per night with early shows appropriate for ages 14+ and late shows for 18+ only. Register as a team of four to six or call in directly to Escape Capers if you only have a partial team. This annual Halloween event at Heritage Park mixes good food with a few ghost stories and a ghost tour. 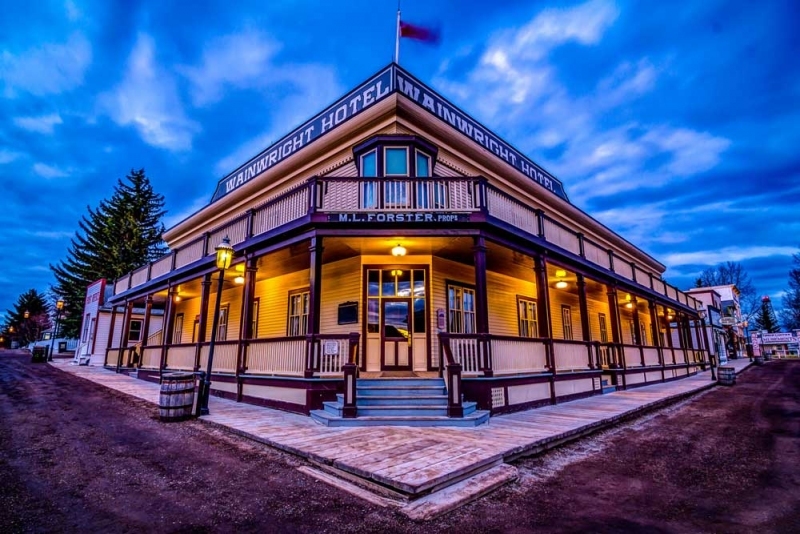 You’ll start the evening with a seasonally focused three-course dinner at the Wainwright Hotel interspersed with ghost stories. After dinner, there’s a ghost tour around Heritage Park. You’ll definitely feel spooked — you’ll step inside a few of the heritage homes, including the known-to-be haunted Prince House, when it’s dark and hear spooky stories. The tour is led by a guide and stories are based on personal experiences and true encounters staff have had. Each Halloween, Fort Calgary hosts a murder mystery dinner theatre event. This year, a quiet community confronts jealousy and vendettas when they try to recruit Johnny Depp to star in their sequel to Sleepy Hollow. You can dress in costume or show up in business casual and you’ll fit right in. You’ll enjoy food and drinks as you try to solve the murder before it all wraps up at 10 p.m. Tickets can be purchased from eventbrite.ca. Times: 6 p.m. to 10 p.m.
Get your fill of spooky stories on one of these Canmore Ghost Walks. Interpretive guides will walk you through the town while telling stories about paranormal activity, haunted buildings and ghosts. For an extra $10, Ghost Walkers get a sandwich, soup and coffee at the Good Earth Coffeehouse. If you see groups of costumed people running around Okotoks taking part in a series of challenges, don’t panic. They are part of The Great Dash. Think of it as kind of like The Amazing Race, but with a focus on art and cuisine. Sign up in teams of 2 to 4 and make sure you have a car and cellphone. Times: 9 a.m. to 4 p.m.
Drive up to Airdrie for a Halloween costume party with live music and dancing. This fundraiser for the 2020 Alberta Winter Games has music, dancing and prizes for the best costumes. This Halloween event is hosted by Steady the Wheel, a classic and contemporary rock cover band, and Calgary rockers Flatline Phoenix. Times: 8 p.m. to 1 a.m. The sweet transvestite from Transsexual, Transylvania, the Time Warp and the ghoulish butler Riff Raff. You’ll catch it all in The Rocky Horror Picture Show, a real Halloween classic. This event is adults-only and admission includes a props package for the classic Rocky Horror interactivity. Last year, the Wizarding World of Okotoks was a huge success. The organizers are re-imagining it in 2018 as Enchanted Okotoks, a festival of witches, role-playing, cosplay, dragons and medieval culture. There will be a petting zoo, a costume contest, artisans selling their wares and games. Times: 10 a.m. to 5 p.m. The frightful attraction opens for one night only on the outskirts of Calgary after a 13-year hiatus. Make your way through nine haunted trailers, three mazes, a haunted forest and a “murder cabin.” While organizers have estimated a PG-13 level of scare, “chicken doors” will be provided for anyone who needs to check out early. Times: Tours start every 15 mintes from 5 p.m. to 9:45 p.m.
Take your scary movie experience to the next level with Canmore Cave Tours’ special Halloween experience. The night starts off at the Canmore Cave Tours office with a partial screening of the 2005 horror film The Descent. Participants will then drive to the parking lot of Canmore’s Rat’s Nest Cave, hike to the cave entrance and go underground to watch the rest of the film. This event is for adults only. Times: Saturday at 4 p.m., Wednesday at 6 p.m.